He fell for a girl he can’t get back. Now he’s hoping for something. He chooses a body part and tells us its link to the past he threw away. He tells us the story of how she found him, and how he lost her. But he doesn't have long. I admit, this book had me crying just from reading the back! I knew there was only going to be one outcome for Ivo but as he got near to the end of the alphabet I was stuck with a dilemma of not wanting the book to end but at the same time wanting to find out how it ended. How did it end? Not at all as I expected - cue the absolutely massive gasp out loud! I'm not going to spoil any of the story in my review but this is a wonderful testimonial of Ivo's life. Yes, he's made mistakes and boy is he paying for them. There are some really tender poignant moments where he talks about his ex-girlfriend, Mia - the girl with the patience of a saint. It must have been love when she put up with Ivo's partying, often at the expense of taking his insulin. During the reminiscences, I was reminded of the feeling of being young and thinking you're invincible. Then we are reminded of where Ivo has ended up - on oxygen and morphine in a hospice as his kidneys are failing. It's a brilliant contrast between the feel good happy memories of the past and the stark reality of the present. The hospice environment was written with dignity and respect. Ivo's nurse, Sheila, is always there when he needs her and I liken her to a guardian angel. Perhaps not a guardian angel as such, as it's too late to keep him safe from harm, but an angel who makes Ivo's final journey as comfortable as it can be. It's an absolutely stunning book. 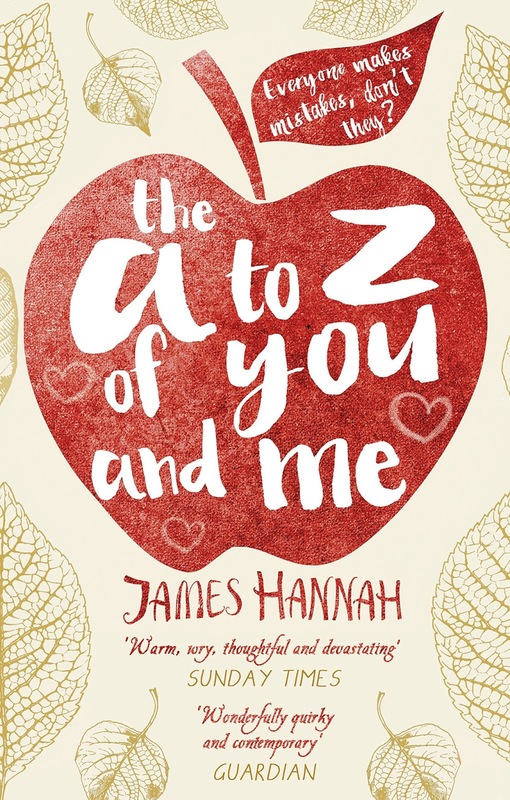 I loved the A to Z idea and have some favourite Ivo stories such as hanging the crochet hearts from the tree and asking the vicar about his Adam's apple. What will your favourite Ivo story be? This is a book that pulled at my heart, not only for Ivo's suffering, but for really making me appreciate what I have - my family, friends and health. So cheers, James Hannah! I received this book from the publisher, Transworld, in exchange for an honest review.